There is a myth that diets don’t work. The truth is diets do work. But only while you’re on them. It’s what you do when you come off your diet that measures whether you will maintain your weight loss, or see that weight creep back up. Most people go on a diet after looking in the mirror and seeing they have gained weight, or when their clothes become too tight. Then they decide to lose weight by going on a diet. Which is just another word for Denial. I can’t eat this, it has too much sugar. I can’t eat that because it has too many carbs. I can’t eat that because it has too much fat. …is why you gained weight in the first place. And what do you think is going to happen? This is the very essence of yo-yo dieting. It becomes a self perpetuating vicious circle until something changes. The other problem with the standard method of dieting is when you focus on what you can’t eat, you set up cravings. Have you ever noticed how when you go on a diet most of the television commercials seem to focus on food? And usually high calorie foods. They’ve always been there but you didn’t notice because you’ve always been able to freely have them when you want. Then you go on a diet, or a Denial, and suddenly you notice these ads every time they’re shown. Because you are craving those foods and you’re telling yourself you can’t have them because…diet. The worst thing is once you come off your diet suddenly you can satisfy all those cravings so you’re most likely to eat these foods over the next week or two because you can. You could easily regain 5 or 10 pounds in the first week or two just satisfying all those cravings. Giving up foods because they are high in sugar or carbs is not the ideal way to keep weight off. It does work, but it has to be sustainable long term. Portion control and tracking calories is the best and most effective way to not only lose weight, but keep it off. I’ve been with a calorie tracking app, MyFitnessPal, for three years now. I’ve successfully lost the weight I wanted to lose and I’m maintaining very well. Simply because I know how many calories I should be eating daily and how many calories I am eating daily. I haven’t had to give up a single food item I enjoy. I also exercise almost daily. I run, I walk, I work out at the gym. I’m 100% focused on keeping my healthy lifestyle. Because that’s the secret of maintaining weight loss. By making it a lifestyle. If I go over calorie once in a while it’s ok. I don’t panic. I am not going to derail all my efforts because I eat unhealthy once in a while. And we have to live. You have celebrations, parties, birthdays, the holiday season. You have to be able to enjoy life. And I do. I eat under calorie probably at least 80% of the time. And the funny thing is once you’ve been at this healthy lifestyle for a while your binging habits change. Overeating for me now looks very different to how I used to eat when I was being bad. You find you don’t want to eat crazy after a while. You don’t enjoy it and it’s not worth the uncomfortable bloated feeling you get the next day. There will be people who will say there has to be more to losing weight than eating less and moving more. They are right, of course. It’s a psychological battle most of all. The most critical ingredient is a healthy mindset. It’s a process and you have to commit to it. Yes, you can have crazy days if you want, as long as the rest of the time you make a serious effort to stay under calorie. But you have to be determined and keep your eyes on the goal. There will be frustration. There will be times it doesn’t seem to be working. The scale doesn’t move. Or worse, the scale ticks up. That’s when you will be sorely tempted to just give up. That’s when you need to have other weapons in your fight to lose weight. Measure yourself once a month. Measure your waist, your hips. Compare the numbers each month. Take photos before you start your journey so you can make comparisons. Pay attention to how your clothes are fitting. Nothing boosts your confidence more than dropping a pant size. All these things will keep you motivated and show you the process is working even when the scale isn’t co-operating. Be aware there will be temptations along the way. Someone brings donuts in to work almost daily, or a friend keeps inviting you out to eat at high calorie places all too regularly. You have to learn to pick your battles and know it’s okay to give in sometimes. It’s a lifestyle, after all, and you you have to be able to enjoy your life. Have you ever felt frustrated with how you look and feel? Have you ever been on so many diets that you should take stock in the word “diet”? Have you ever started a diet or program and get excited when you see the results, but afterwards, your weight starts to creep up and up and before you know it, you weigh more than when you started? Have you ever wanted to join a gym but felt intimidated by the people working out in there and walked right out the door? Have you ever felt like ‘why should I bother with how I look and feel because I am in my 40’s and married and so what’? Have you ever been to the doctor’s and they rattle off the rap sheet list of all your medical ailments and you just stare and blindly accept it because you figure, ‘hey I can’t do anything about it, right’? If you can answer yes to any or all of these questions, you are not alone! We have answered yes to every single one of those questions! What changed? Something finally clicked and we both said, enough is enough! For Dave, who is a type 2 diabetic and was on Metformin, the doctor wanted to put him on another medication because his A1c number was 7.2 and was not coming down. This was in December 2014. This new medication was so strong, it was going to destroy his liver. Dave finally had enough and started to walk and tried to run a bit. It wasn’t easy! He also joined the free My Fitness Pal and he logged what he ate and exercised. Eventually, he was able to run a mile at a time, then two, then four and now he can run ten miles! He also lost a total of 60 lbs and his pant size went from size 40 to size 32! And the best part? The doctor said he didn’t need to take his diabetes medication because his A1c was 5.8 in June 2015! In July of 2015, Christine saw all the positive changes that was happening to Dave. She had always struggled with her weight since she was a teenager. She tried everything, from the Medifast diet, to fasting, to Weight Watchers, to joining the gym. She would lose weight but guess what? Eventually, the weight would come back and then some! It was more like an overstretched yo-yo where the toy goes up and down and then just gets stuck and overextended! She finally said, ‘enough is enough’ and at age 47, joined her husband and made a pact to do this together. She also joined My Fitness Pal and started to log everything she ate and exercise. Yes, that dreaded word – exercise! She started to walk here and there and she joined a gym with Dave. She loves the weight strengthening machines and she pushes herself to do more. She has lost a total of 75 lbs and went down 5 pant sizes!! It is a life long health journey and more importantly, we are doing it together. We have realized that the most important muscle in all of this is our brain. That’s right. That little three-pound organ plays an important part and we discovered what it takes to get the three-pound organ to control what the rest of your body does. This is where we come in. We have the tools to show you how to develop a positive mindset and get great results. 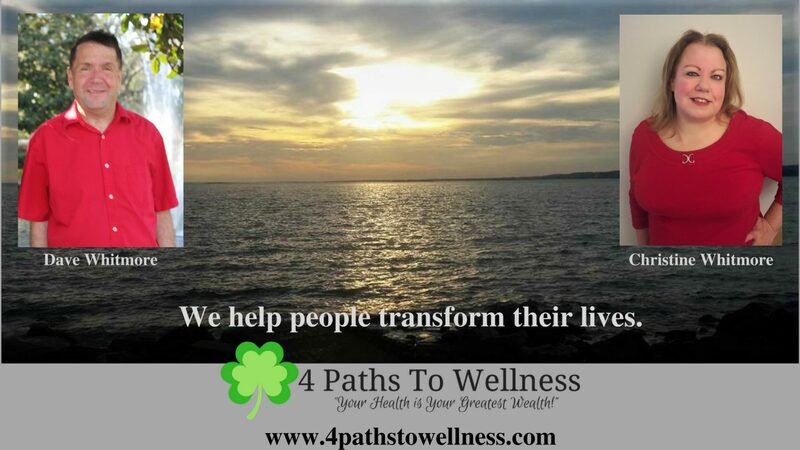 What we love to do is help other people who are just like us: ordinary normal people who understand what you are going through and want to help you be on the path to your best health. But, in the next six weeks, we will guide you with the right tools to help you motivate and inspire you to be the best that we know you are! We offer 6 weeks of group coaching! You will be in our private Facebook Group. Daily mindset and motivational tips to help you start the day with the right mindset to tackle almost anything. Daily posts of ideas to eat healthy and exercises to do. Daily Group accountability. Report what you accomplished for the day. Opportunity to ask questions in the group and receive positive answers. Two (2) weekly Group calls via Zoom on Monday and Friday. Receive the PDF of Dave’s booklet: “10 Things To Know About How Having A Positive Mindset Can Help You With Almost Anything In Life!” for FREE. All for the introductory price of just $77!! Pay $77 securely here with PayPal! Are you someone who needs a personal coach to motivate and inspire you to be and do your personal best? Then, upgrade to our 1:1 personal coaching! Exclusive Facebook messenger or Voxer communication with your coaches. Daily verbal mindset and motivation tips via Facebook messenger or Voxer. Have a personal plan for your eating and exercising goals. Personal daily accountability with your coaches to report what you accomplished for the day. Your coaches will be available for private support whenever needed, (via Facebook text or voice messaging, Voxer or email, etc. Normally the price for this exclusive 1:1 coaching is $1,821, but for the first 4 people to secure the spot, it is just $777!! That is a savings of $1,044 which is 57% off the price!! Pay $777 securely here with PayPal! Success is dependent on only one thing. The decision to start. Whatever you have in mind, whether it’s weight loss, fitness, looking for a new job, or starting your own business, you have to make a decision, a commitment that you’re just going to do it. And then you need to cultivate a no-matter-what mindset. You are going to do this. It’s all in your mindset. Your mind is your most powerful tool. Any thing that has ever been invented was visualized first. It was created in the mind before it was created in reality. On the other hand your mind can be your greatest obstacle. Your mind can make you fly, or it can hold you back, keep you on the ground. As the old saying goes, “if you think you can, you’re right. If you think you can’t, you’re right”. Whatever is in your heart, make a decision today to go for it. Just think where you could be a year from now! The weather has been bad all day. We had waves of heavy rain. But it cleared up just in time for this glorious sunset. It's a bit like life. Sometimes you have to go through a storm to appreciate the good times. The sun sets on your past. It's nice to look back but just remember you aren't going that way.